Awareness is not a belief | Awareness Now! Shakespeare already wondered: what’s in a name? Words are just pointers to something. We can even create words for things that don’t actually exist in physical reality. How about awareness then? Each one of us is certain of one thing which is; “I exist!” That is the very definition of self-awareness of a “self” which is apparently inside of us. What happens when you or I perceive something “outside” of us, like a rose? There many ways to react. Via knowlegde: I know what a rose is, I’ve seen plenty. 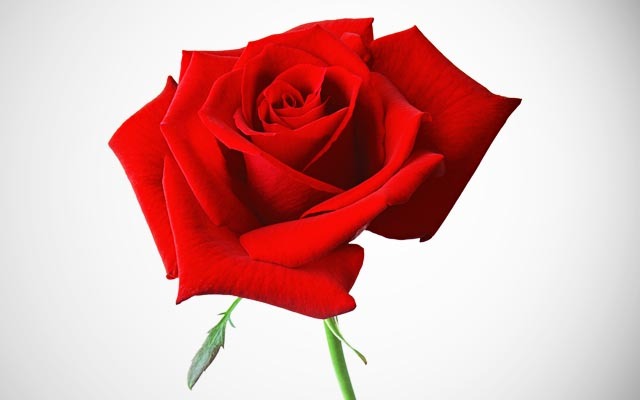 Via analysis: I looked it up, the rose is a flowering plant of the “genus Rosa”. Via judgement: I don’t like this particular color red. We pose that none of the above is what it means to be aware of this flower in front of you. Perhaps the example of music would make it even more clear. Imagine you are listening to a beautiful song of an unknown composer. None of the reactions based on knowlegde, analysis, belief or evaluation would make you hear or experience the music more intensely. In fact your reactions would probably interfere with your awareness of the music. You may perhaps remember moments when music moved you deeply and brought tears to your eyes. No beliefs, knowledge or evaluation were necessary. You were simply aware and let the music happen…Now can you do that with people too? With all of existence? @YOU: what is your experience? Is awareness based on beliefs? Previous articleHow do you know you are attached to a belief? Next articleIs the ‘self’ just an idea? Eckhart Tolle said: awareness is the greatest agent for change. My developer is trying to convince me to move to .net from PHP. I have always disliked the idea because of the costs. But he’s tryiong none the less. I’ve been using Movable-type on a variety of websites for about a year and am nervous about switching to another platform. I have heard fantastic things about blogengine.net. Is there a way I can import all my wordpress posts into it? Any help would be really appreciated! I will right away grab your rss as I can’t in finding your e-mail subscription link or newsletter service. Do you’ve any? Please permit me know in order that I may just subscribe. Thanks. web site conations in fact good funny data too. What could you recommend in regards to your publish that you made a few days in the past? the fantastic works guys I’ve included you guys to my own blogroll. I’m fairly certain I will learn many new stuff right here! I simply want to mention I’m very new to blogging and seriously enjoyed your web site. Likely I’m want to bookmark your blog post . You definitely have impressive well written articles. Thank you for sharing with us your web page. Hello.This post was extremely motivating, particularly because I was looking for thoughts on this subject last Monday. Very good written information. It will be valuable to everyone who utilizes it, as well as myself. Keep up the good work – i will definitely read more posts.